Recently, the Global Leadership Summit was held in Gospel Assembly Church, Seremban. The GLS was started by Bill Hybels in 1992 because he saw a vision of a world transformed by courageous and influential leaders with Christian values. The first session in the Malaysian leg of GLS 2013, dealt with courageous leadership, given by Bill Hybels in a message titled ‘The Courage that Leadership Requires’. Bill Hybels is the senior pastor of Willow Creek Community Church in South Barrington, Illinois, and has written many books on courage such as Courageous Leadership (2002) and Courageous Faith through the Year (2004). He took the Joshua Prayer found in Joshua 1:9 as the refrain of his message. In his message, Pastor Hybels gave Christian leaders from all walks of life an exhortation to be strong and courageous. He gave the example of Nelson Mandela as an example of a courageous Christian leadership. Nelson Mandela wasn't just fighting a personal struggle against apartheid. He was fighting for a cause (even willing to forfeit freedom) because he knew what it meant to God, and for the country, and mankind in general. He rose to an even higher level of courage after the independence of South Africa when he called and implemented reconciliation amidst challenging surroundings. This call for reconciliation paved the way for the country to move forward instead of stagnating in a potentially destructive environment. 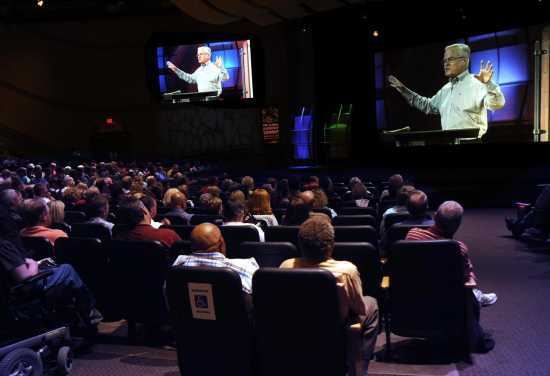 Pastor Hybels shared that the call of godly leadership demands fortitude and the continuous faith in and assistance of God in order to last for the long haul. He focused his message on five main areas. The first point is in the area of courage to pursue a vision. Pastor Hybels defined vision as the picture of a future that creates passion in people. He shared that every significant vision God placed for us will put us to the test but there is one thing we can rely on; the faithfulness of God. He is always with us, and will never forsake us. The problem is many leaders bow to resistance instead of trusting in God's directions. Throughout history, God has sent visions to leaders but many of these have been aborted or snuffed out prematurely because of fear. This has major consequences. Pastor Hybels raised the question; when we see all the suffering and pain in the world, who should we blame? In his words, "Should we lay the blame at the feet of a compassionate God, who has been sending life-enhancing visions to millions of leaders all over the world? Or should we lay the blame at the feet of a large number of gutless, cowardly leaders who aborted the misery alleviating visions that God could have blessed wildly had there been the leadership courage to give them birth?" Pastor Hybels characterizes vision that comes from God as holy commodities. As Christians, we should treat them with respect. Do not forsake them but rather, step out in faith. Everyone has a cool vision in them that only lacks old-fashioned courage to take hold of them and personalize them in their lives. Part of the challenge of leadership is the courage to face up to current reality. It is the leader’s role to define reality. The status quo is not acceptable and in the long run will lead to decline and death. Seasoned leaders have the ability to shake the status quo, and get the organization moving and build air-tight cases against failure. They do this by constantly innovating and planning. Pastor Hybels shared that in most cases, the whole team or even organization knows which state an organization is currently in. It is the leader’s responsibility to sound a code-red when the organization is facing or about to face a downturn, and this honesty requires tremendous courage. A great leader needs to have this kind of courage and responsibility. They face reality, turn to God for guidance, and take steps towards rectifying the problem. The greatest challenge any leader will face, though, is in the area of building a healthy, God-conscious organisational culture. Pastor Hybels shared his experience in this area, and about a system of measurement he called the Best Christian Work Place. It measures the state of an organization and how healthy it is based on its Christian values; 4.25 for Flourishing, 4.00 for Healthy, and 3.75 for Toxic. He shared that when he decided to implement an action plan and brought in an outside firm to measure the health of his organizational culture, it required one of the highest levels of courage in his experience, not least in facing the possible results and the response of his own organization. Pastor Hybels made the point here that people join organizations but they leave managers. A staff culture will only be as good as its CEO wants it to be. Good leaders display Christ-like attributes, including integrity and humility. In some cases, leaders need to have the high courage in situations such as where there is a need to make apologies, or in making their leading staff accountable. Each staff in the leading team is either a Culture-builder or Culture-buster. A great leader needs to have the courage to make tough decisions and an organization with 100% Culture-Builders makes a huge difference from one that doesn’t. 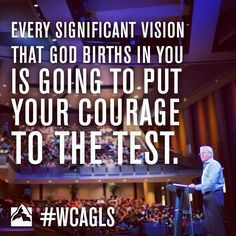 Pastor Hybels shared that the courage he took in making the assessment of the health of his organization produced tremendous result. The fourth area of courageous leadership is in establishing and enforcing Christian values within an organization. Pastor Hybels shared that in today’s uber-connected world, it has become so easy to stay connected, but ironically, what this has done is it has put an illusion of community, and taken away true relationships and community. He shared about an experience, Gary, a friend of his, had to go through. Gary had just lost a granddaughter, Natalie, who died at the age of 5. Because of his sense of duty, and work responsibilities, Gary had to leave for a foreign country the day after his granddaughter’s funeral. Pastor Hybels shared that he found out later, after asking out of concern for his friend, something that disappointed him. In a church in that country, the sense of loss and loneliness overtook his friend, but no one took notice of the broken and lonely man in their church. This painful experience his friend had to undergo awakened and opened his eye to the importance of establishing Christian values in an organization. He urged that there need to come a point in time when leaders need to move beyond casting visions and start throwing down the gauntlet, by taking concrete steps in establishing these values. How many broken and grieving people in our church come seeking for God and leave disappointed or disillusioned? Do we reach out to them in compassion enough? Pastor Hybels encouraged us to make a prayer: “God, do something in me so that we’ll have the courage to flip things over from cowardice or complacency to courage”. He encouraged that many leaders may not see the fruits of their labours early in life or ministry, but some of the sweetest experiences in a leader’s marathon takes place late in leadership. 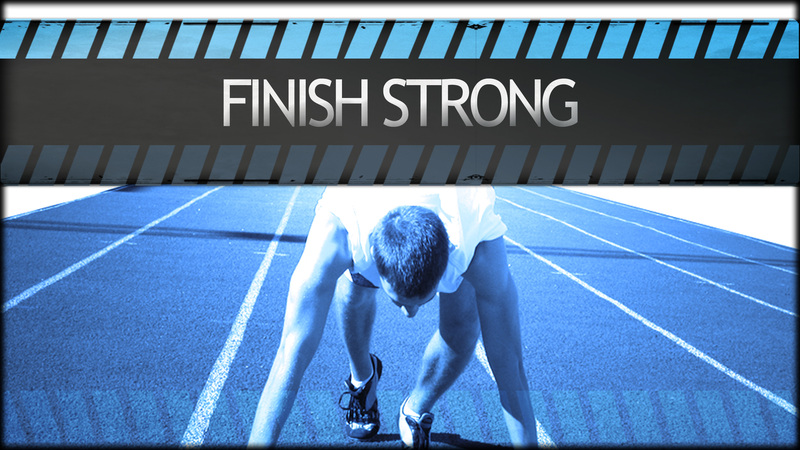 Do not quit on God; endure, and finish strong. Pastor Hybels made a final exhortation that the time for Christian leaders to rise in courage and make a difference is now. Pastor Hybel's message is a great reminder to Malaysian Christians and leaders that while vision, and the ability and will, to turn them from dreams to reality defines leaders, what separates great leaders from mediocre ones are the wisdom and especially the courage that the great ones possess, not just in driving the organization forward, but also in leaving a lasting legacy that we, our organization and nation, and most importantly of all, God can be proud of.